All of Deadpool's fan-favorite flashback issues, collected in chronological order! (I mean, I think so...really, who can keep track?) First, Deadpool goes back to the 1950s to save Nick Fury from time-traveling Hitler! In the 1960s, Deadpool wreaks havoc on a cosmic level! In the 1970s, he hits the streets with Power Man and Iron Fist! In the 1980s, he matches wits with Iron Man! In the 1990s, Deadpool gets his hands on the Infinity Gems - and his ORIGINAL SIN is revealed, with help from Sabretooth and Alpha Flight! Plus: Learn about gracking, energy source of the future, straight from the Roxxon Corporation! If you can't trust a giant faceless corporation, who can you trust? 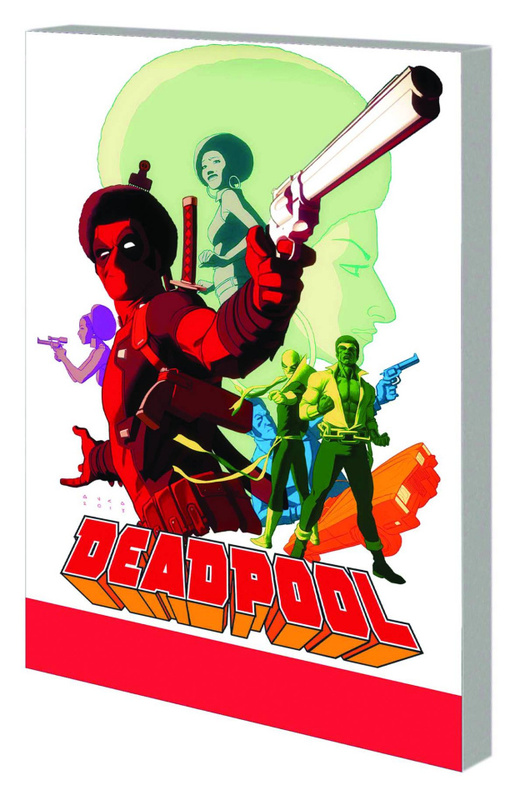 It's Deadpool through the decades, in one handy package! Collecting DEADPOOL (2012) #26, #20, #13, #7, #250, #34 and #40.